It’s a wall, a stone wall, a very impressive stone wall . . . and a stone wall with real history. This wall – and the Lodge opposite, along with its wall, mark the former entrance to Hurdsfield House’s grand carriage drive. Unfortunately, whilst the lodge and its wall are listed – the larger, more impressive wall opposite isn’t. And someone wants to tear it down. 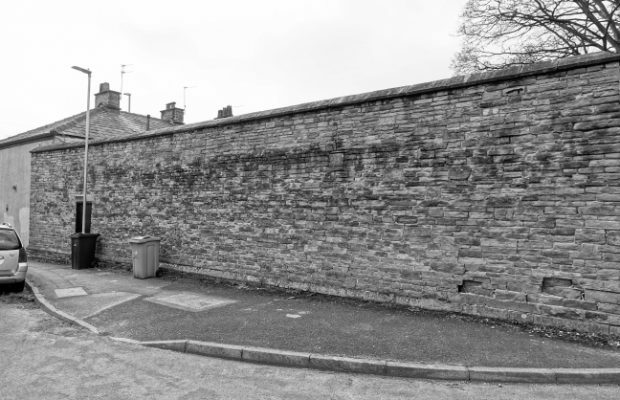 Way back in the 1800’s – when the Brocklehurst family drove their carriages up what was later to become Brocklehurst Avenue – this wall probably continued for some distance up the avenue to Hurdsfield House, the family home of the Macclesfield Brocklehurst’s. One of the most influential local families in their day the Brocklehurst’s will mostly be remembered in their town for their influence on the silk industry – through Brocklehurst Whiston – and explorer Sir Philip Brocklehurst (of Swythamley Hall) who took part in Ernest Shackleton’s Antarctic 1907-1909 expedition. What remains of the wall is a fine and beautiful piece of construction which is all-too-evidently in excellent condition. 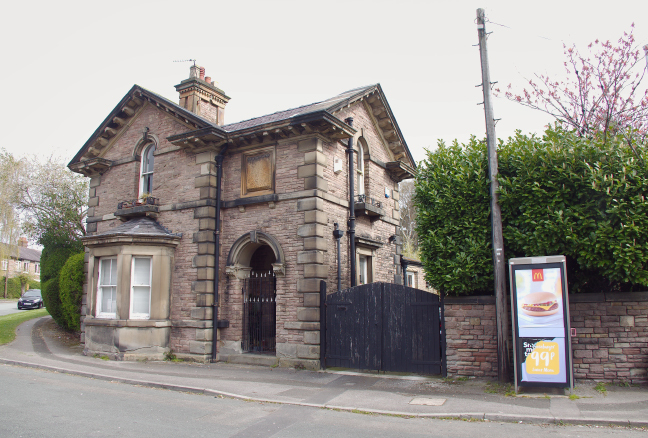 Sadly, like most things of any age and beauty in the town – someone has decided it has no worth and is proposing to demolish some of it – to build three garages. This wall is one of the few remaining pieces of evidence the town has of the driveway up to the Brocklehursts’ family home. Hurdsfield House sadly is now a shadow of its former self, being sub-divided into a number of apartments since the family moved out. 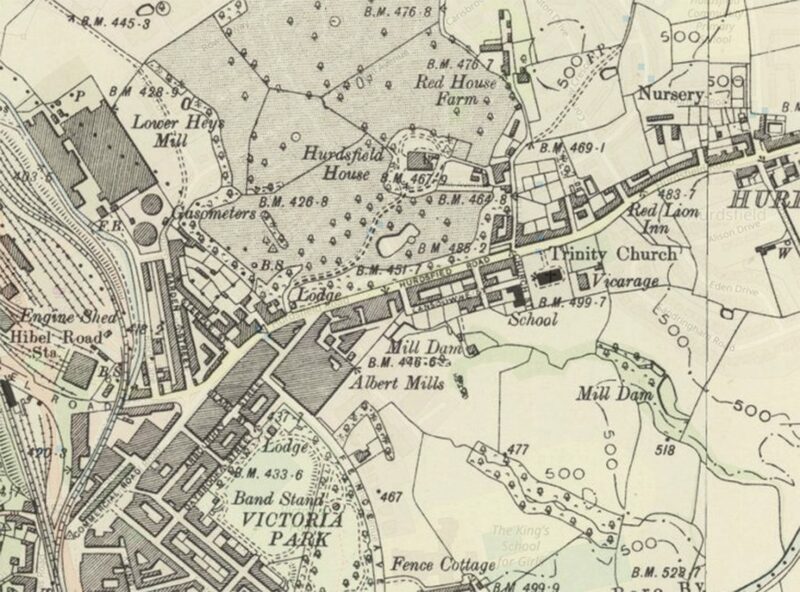 But we should be thankful that it still stands, testament to the family that helped put Macclesfield on the map. The wall under threat is a thorough piece of work, with its excellent stonework and majestic coping stones, reflecting the Brocklehursts’ social standing, both as rich merchants and as employers of much of the town’s workforce. It is not just any old wall, and to demolish even part of it is to disregard part of our local history. Editor: It’s to be hoped that our local councillors and planners share the same sense of civic, historic and environmental responsibility as Janice Ashcroft.